“What are you wearing, Steve from State Farm?” The commercials are nationally known, but locally Tricia Zwirner is the face of State Farm. From volunteering with the Sebago Lake Rotary Club to sponsoring sports teams and the Science Olympiad at Windham High School, Zwirner is a part of the community she serves. Zwirner opened her office in July of 2002. Before that she graduated from college and she would never work for State Farm because her mom was an agent and she had worked for her growing up doing filing and other jobs. “I was a finance major. They offered me a great package, great career path. It just fit,” she said. When a State Farm agency became available in Windham, she and her husband jumped at the chance. As a State Farm agent, she and her team have over 100 products to offer clients. At Zwirner’s office next to The Ice Cream Dugout at 13 Storm Drive, she works with agents Joanne Payson, whose specialty is property casualty and Mike Allen who does life, new auto and bank. They have streamlined the products to insurance for auto, home, life and bank loans from State Farm. “It’s very needs driven,” said Zwirner of her services. “We do a lot of ATVs and a lot of snowmobiles,” she added. Zwirner’s customers are young, old, male, female, married, gay, straight and seasonal people. Her favorite types of clients are newlyweds who are starting their lives together and they want to sit down to discuss. Zwirner is one of the only agencies to take cash and checks at the office. 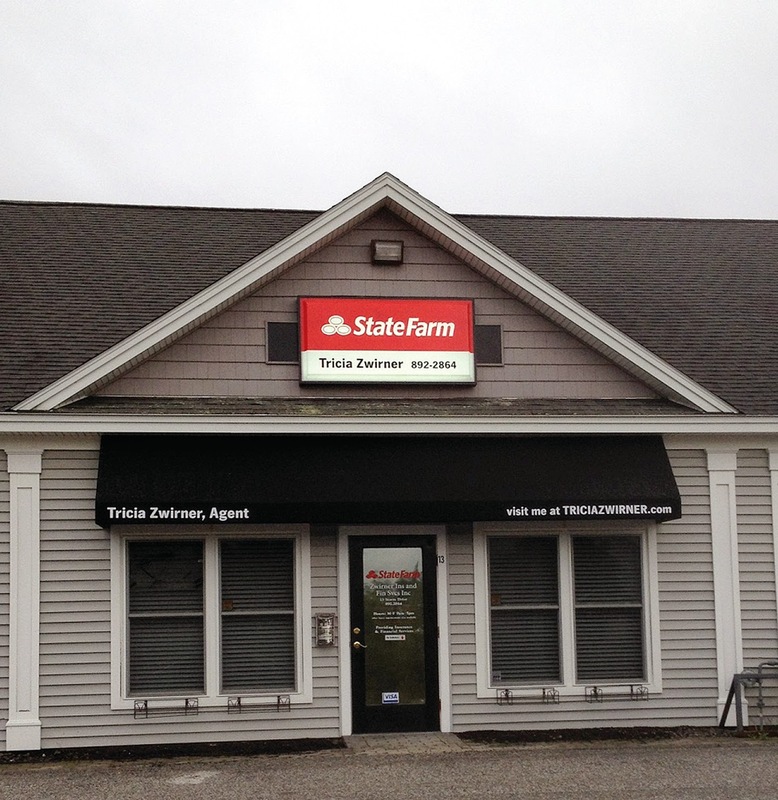 Although she is only allowed to work in the State of Maine, because State Farm is a national company, she is able to work within the network of State Farm agents. Transferring clients from one State Farm agency to hers is a breeze, she said. Reviews of client’s portfolios happen every two or three years, Zwirner said. This way information can be updated. It also gives Zwirner the opportunity to give sway out to her clients, be it phone stands or calendars, stress balls or water bottles. It’s a fun benefit she offers. State Farm started a banking segment of the business. It’s not a brick and mortar bank, she said, but it offers Internet banking with no ATM fees and if there are they are reimbursed at the end of the month. It also has phone deposits where a client can take a picture of the check and have it deposited into their account. “Young people don’t need one-on-one,” said Zwirner. State Farm also offers vehicle loans with extremely competitive rates and pay-off protection, which is like GAP insurance that most dealers offer with a new car. Loans can be refinanced to get into the pay-off protection plan that State Farm offers. “We love saving people money,” she added. When a client first walks into the office, Zwirner will fact find and learn about the person and his or her needs. She will find out their risk tolerance and get to know them. If they have a 401K that was left at a previous employer, she can help roll that money into a new account that the client can have control over. For quotes and questions, visit www.StateFarm.com, call 892-2864 or stop by Monday through Friday from 9 a.m. to 5 p.m.